Jousting Wilds from Cayetano Gaming is a charming Medieval-themed slot with a quirky cartoon design and lots of themed bonus features. 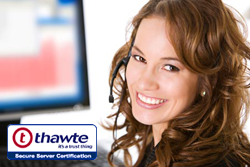 This Medieval story takes place on five reels and three rows, with a total of 20 fixed paylines. Along with brave knights, Jousting Wilds also features a beautiful princess with her own bonus round. When you get to the Jousting bonus, you get to pick your own knight in shining armour to joust for you and win you big prizes. Jousting Wilds has a volatility level which is on the higher side. There’s more to be found in this Medieval castle, however, so read on to find out about all the bonus features packed into this medieval adventure! Jousting Wilds features not just one, but three wild symbols. The two knights and the princess are all wild symbols, each one substituting for all other symbols on the reels. There are also five high paying symbols - represented by five different shields – and five low win symbols represented by playing card symbols, A to 10. Every time three wild symbols appear on a reel, they become a stacked wild, possibly leading to multiple wins on multiple paylines, meaning big wins! A stacked white knight wild on reels one or two and a stacked black knight wild on reels 4 or 5 will trigger the Jousting bonus. The stacked princess wild on the middle reel triggers the Princess wilds feature. When the princess wild appears on the reels, she will lock all wild symbols present on the reels. This triggers a free re-spin with a guaranteed win and up to eight extra knight wilds! In the Jousting bonus, you first have to pick your lucky knight to joust for you. Each win gives you a random award and takes you to the next round. If your knight manages to make it all the way to the fifth round, you’ll win the grand prize of 500x your stake! Instead of free spins, Cayetano Gaming decided to go into a more original direction with Medieval themed bonus features that earn you prizes good enough to make you forget all about free spins. So, what kind of prizes are these knights able to win for you? First of all, both knights and the beautiful princess all come with the top prize you can win in the base game which is 50x your bet for five wilds on a line. For three of a kind, you win 5x your bet. The blue and red shield is the most valuable out of all the shields, paying between 2.5x and 15x your bet. The red and gold shield pays between 2x and 10x your bet. The blue shield pays up to 9x your bet, the orange shield up to 7.5x your bet and the yellow and green shield pays up to 6x your bet. The playing card symbols are all lower win symbols, out of which the A and K are worth the most. The A symbol pays up to 5x your bet, whilst the K and Q pay out a maximum of 4x your bet. Finally, the J symbol pays up to 3x your bet whilst the 10 symbol is worth a maximum of 2x your bet. Jousting Wilds is set on the entrance of a little Medieval castle with little red flags blowing in the wind on top of the castle tops. The colours of Jousting Wilds give the slot a charming fairy tale look to it, with green grass and pastel blue skies seen in the background. Clouds pass by behind the castle as you play, and in the distance, you can see the mountains and peaceful landscape of Jousting Wilds. To make it even more magical, birds chirp softly in between spins and a typical Medieval tune makes up the soundtrack of Jousting Wilds. On the path leading to the castle, you’ll find the stake button, the Autoplay button, and the spin button hovering. You can access the paytable easily through the menu above the castle. Jousting Wilds simply ticks all the boxes for a great slot that’s worth your pennies: attractive, high-quality graphics, fun gameplay, and lucrative bonus features that make for an unforgettable Medieval inspired experience. 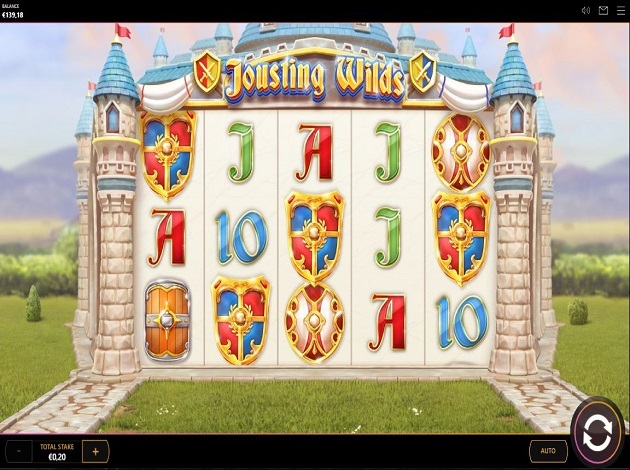 Get jousting at Videoslots.com and play Jousting Wilds today!